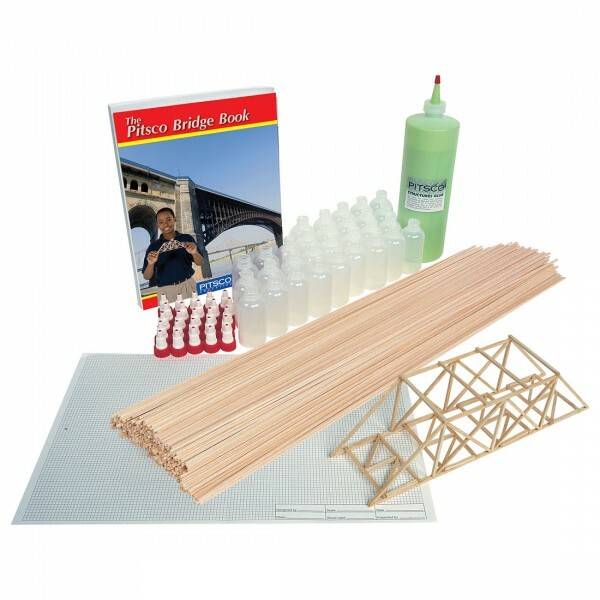 Get all the materials you need to complete an exciting bridge design and building activity. Packs are available for a class of 10 or a class of 25. Balsa wood strips are 1/8" x 1/8" x 24". Basswood strips are 3/32" x 3/32" x 24". Construction requires hobby knife or Timber Cutter, small clips, foam board, pins, and waxed paper, sold separately. Weiterführende Links zu "Balsa Bridgepack"
Abonnieren Sie den kostenlosen EducaTec Newsletter und verpassen Sie keine Neuigkeit oder Aktion mehr aus dem Shop.